Why Test Drive the New Volvo XC60 This Year? Stop by Prime Volvo Cars South Shore so that you can not only see the new Volvo XC60, you can take one for a ride and experience this luxury compact SUV. 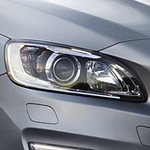 The way that your new Volvo XC60 is able to reduce accidents on the road is by way the Blind Spot Information system. When the time comes to find your next vehicle, you should really consider what you'll be using the vehicle to do to determine which vehicle is right for you. If you are unsure or if you need a vehicle that is flexible, then the list of options becomes smaller. Choosing an SUV to get you to where you need to be in Rockland, MA may be the right choice for a number of reasons. The Volvo S60 is a compact luxury class sedan that has the amenities to prove it. Volvo drivers have come to expect a car that combines power and performance with creature comforts to make driving a pleasure. Let’s take a look. 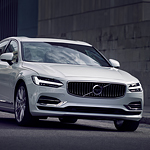 If you are interested in the interior features that a vehicle provides, come check out the 2019 model of the Volvo S90. This vehicle comes with plenty of great standard features that will help you stick to your budget, while still providing you with all of the latest and greatest features that are on the market right now. Features like a moonroof with automatic shade control will let natural light shine through into your vehicle. Maps and apps are extremely easy to use thanks to Volvo's touchscreen technology. Getting your battery serviced should be done at least once a year. If you are having problems with the power in your vehicle, it's time to get your battery checked before you are left stranded on the side of the road. Your battery is an important part of your vehicle, and proper maintenance will keep your car running well throughout the Hingham, MA region. People today are busier than ever. When we're working hard, we've got hundreds of things on our minds. The last thing we're thinking about doing is scheduling our car appointment and when we do remember the dealership is usually closed. That's why we here at Prime Volvo Cars South Shore in Hingham, MA want to make sure that you are aware of our online service scheduling that is available to all customers! Just simply log on to our website and schedule an appointment for any of the available time slots. If you see a car that has been in an accident while you're on the highway, or notice that an emergency vehicle is trying to get to the car, you may not be sure what to do. There are move in laws in every state in the U.S., and you should be aware of these so that you can keep yourself and everyone else on the road safe. There are some people who have difficulty in understanding the difference between all-wheel-drive and four-wheel-drive. Yes, they are similar in that they both send power to all four wheels of a vehicle in order to get better traction on the driving surface. However, that is where the similarity stops. Understanding the difference can be valuable for future purchases of this technology. Four-wheel-drive uses a lower gear ratio and a split differential to make the four-wheel phenomenon work. It is usually found in pickup trucks and larger off-road SUVs. If you're still changing the oil in your vehicle every 3,000 miles you may want to read this article. Here at Prime Volvo Cars South Shore, we like to make sure that you have all of the information you need on hand to keep your vehicle in tip-top shape. It is no secret that good visibility is key to safe driving. One simple way to increase your visibility while driving is to make sure your windshield washer fluid is full.